I live on the ground floor of a condominium building in an Atlanta, GA suburb. I've only lived here about 4 months, but have felt uneasy with my home since I moved in. I live alone and rarely socialize, but I do enjoy having an occasional night out with friends. One night a few weeks ago, my close friend Josie spent the night on my couch since she was in no condition to drive home. This wasn't unusual because I enjoy her company - we are like sisters and have known each other since grade school. The next morning (Sunday) I found Josie sitting on my leather chaise shaking like a leaf in the wind. She was wrapped in a white bed sheet, which I didn't recognize - all my bedding is colored. There was an odd odor in the living room, which reminded me of an old musty basement. 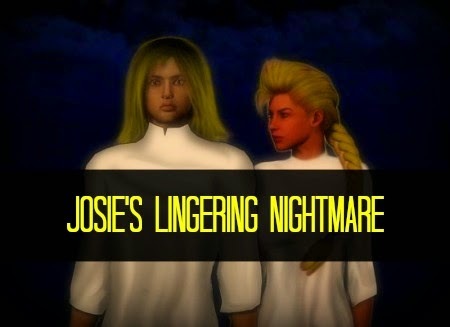 As I walked closer to Josie she looked at me with wide bloodshot eyes with tears streaming down her face. I asked her what was wrong. She didn't answer - but hide her face in her hands. I stood up and walked to the front door. All the locks were intact and the alarm was still armed. It hadn't been touched. I walked towards the patio sliding doors - the lock and alarm was intact there as well. Nothing in the condo looked out of place. I walked back to Josie and inquired about the white bed sheet again. She said that they took her clothes and wrapped her in it before they brought her back. I could tell that she was serious - Josie has always been a no-nonsense person. In fact, I didn't remember ever seeing her cry before. 'They know where I am again.' Again? 'What do you mean when you say again?' She asked if she could take a shower - that she would explain to me afterwards. I went in my bedroom in order to find Josie some clothes. When I walked into the bathroom, she dropped the bed sheet - and I noticed a half-dollar sized bruise at the base of her spine. There was also a few patches of greenish colored powder on her legs and on the bed sheet. Josie stepped into the shower. I grabbed the bed sheet and placed it in a large shopping bag I had beside my bed. I then made my way to the kitchen and started brewing coffee. 'This was not the first time they came for me. I've put up with this since I was 5 years old. My Mama also experienced abductions during her life. They never have told us why.' Josie took a sip of coffee, 'it is painful and doesn't get any easier. It killed Mama.' Josie's Mom had committed suicide while Josie was in college. Her Father was never a part of her life. I didn't know how to respond, but I do know this. If Josie said she was abducted, then she believed that it had happened. She is the most sincere person I know. Her only vice was that she is a heavy drinker - these abductions may be the reason why. We talked for most of the day. She explained that the encounters always begin with her waking up disrobed on a hard cold table in a brightly lit room. The same aliens would attend to her each time. These aliens were very human-like except for their glistening yellow hair. There were male and female of various sizes and heights. They all wore white full-bodied suits. They didn't walk with their two legs but appeared to float just an inch or two above a black textured floor. There were other aliens present that were small in stature with large heads and eyes. These small beings wore dark blue smocks that reached the floor. Their duties were unknown - though there were always several standing around. Josie also said that she has endured over two dozen abductions and that she was told to expect further encounters during her life. The last abduction was over a year ago and ceased after she moved to another house. She hoped that they may have lost track of her. Now she realized that they always knew where she was. I suppose that I am most surprised that I never had any idea that Josie has undergone this abuse over the entire time I have known her. Do I believe her? I have no reason not to believe her - and I plan to help her through the continued exploitation by these yellow-haired aliens. H.